Stylish and modern design for that special evening. Details: This style is beautiful as a cocktail , Evening or wedding dress. Chiffon pleated bust, satin skirt with two layers of chiffon overlay finished to a high quality with full lining and additional bust support for your comfort. 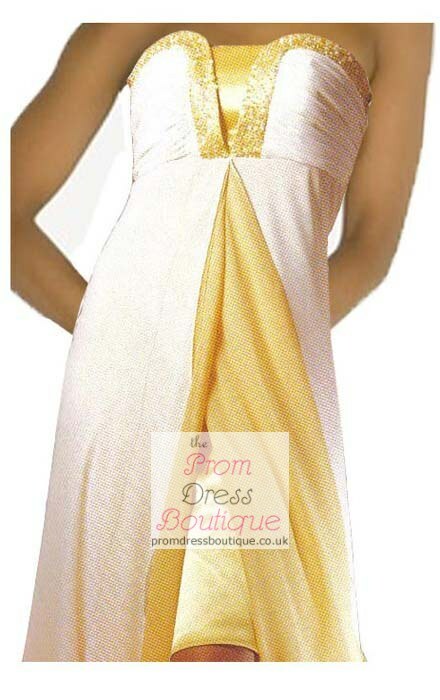 This style can be made in Satin and 2 layers of Chiffon. The colour combination makes your dress more stylish and unique. You can make your own gown unique by chosing your colour combination with either all in one colour, or have a two colour or three colour combination. Measurements: Use our Measurement Wizard to guide you through measuring yourself correctly. Additions: On all our dresses you can add thin straps, add scattered beads around the bust/neck area, make the dress full length or even add a matching stole for that finishing touch. Please see the options below to see which are available for this dress and simply select the one(s) you require.